Have you ever broken a glass? Annoying, isn’t it? From larger pieces to almost microscopic slivers, the shards fly to every corner of the room. There must be a gazillion of them. After you’ve swept up the remains, did you try to put the glass back together?I think we would say it would take a miracle to restore that glass to its original condition. We have a serious issue in our hot lunch program. We announced at the beginning of the year our Food Services Manager was moving on to another position. Thankfully, our former Manager, Linda Doehrmann, agreed to return on a short-term basis. Throughout the fall, we have been looking for another manager with no luck. So we are reaching out to you for your help. Do you know anyone who might be interested in working at St. Peter’s? 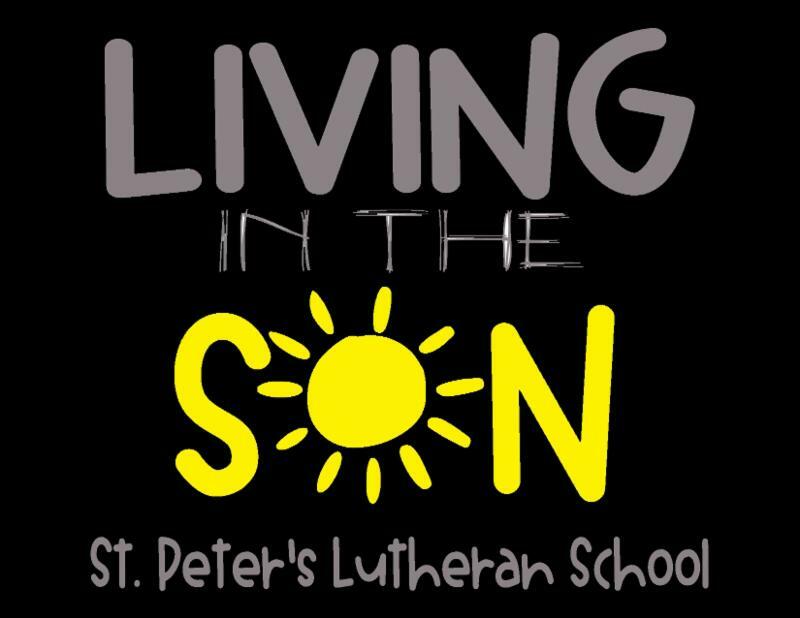 The full job description is on the stpetersfw.org website, or contact Michelle Kidd 749-5811, principal@stpetersfw.org . Without a replacement, we will be looking into changes in our lunch program that will affect us all. 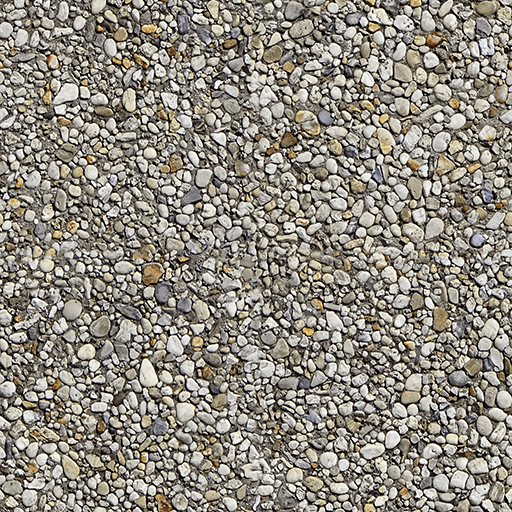 After Pieces of the Rock went to press last week, we learned we had an error in our Honor Roll list. Fifth grader Carson Dale was incorrectly listed on the Honorable Mention list, when, in fact, Carson had all A’s and has earned Honor Roll recognition. Our apologies, Carson, and congratulations on a job well done! The Faithfully Forward capital campaign offers us the opportunity to celebrate together. Join us Saturday, November 10 after worship for a special Family Movie Night in the gym. 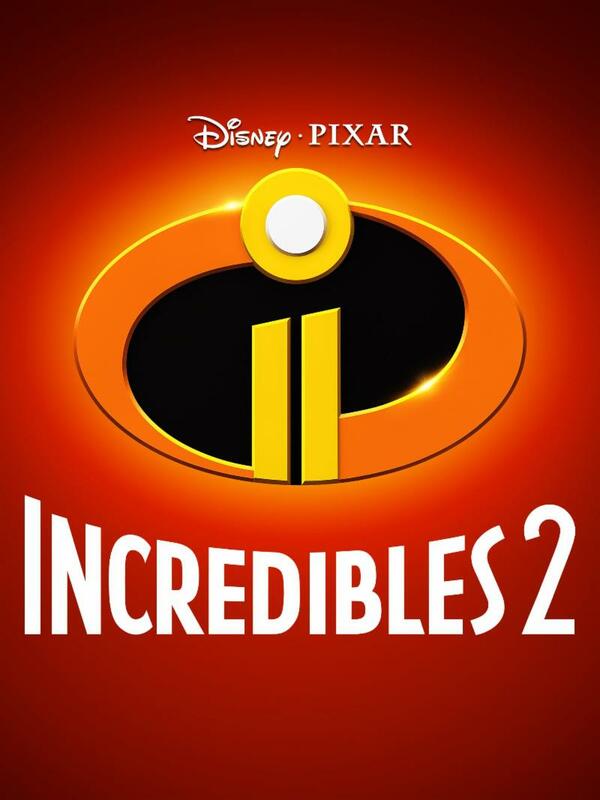 We will be showing Incredibles 2. Bring a bag chair, a bean bag, or a comfy blanket to sit on. There will be a free pizza dinner before the show. A free will offering will be taken that night for hurricane relief. Pizza is free, but you will need a ticket so we know how much to order. Pizza tickets are available in the school office, the preschool office, the church office, and the Ministry Center after worship. This event is sponsored by Thrivent Financial - Greater Hoagland. 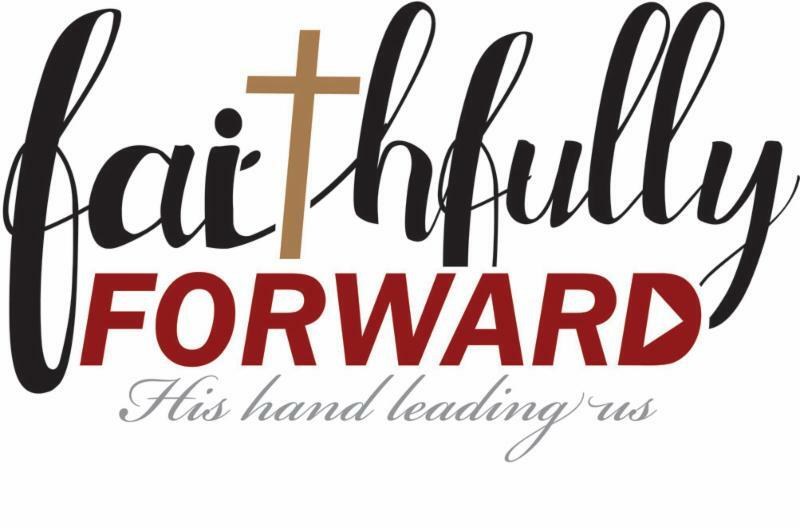 You should have received your Faithfully Forward Brochure this past week. We hope that you take time to read through the brochure. I always find the history lessons to be interesting, but the challenge and the journey to where God is leading us next is really the exciting part! If you did not receive your brochure, please contact the church office to request one and please confirm that we have your correct mailing address. Family & Friends Day Heads Up! We want to throw in an early plug for our annual Friends & Family Day. This year we will celebrate F & F Day on the day before Thanksgiving Day, Wednesday, November 21. Here’s the big change: this year’s celebration will be a half-day affair. 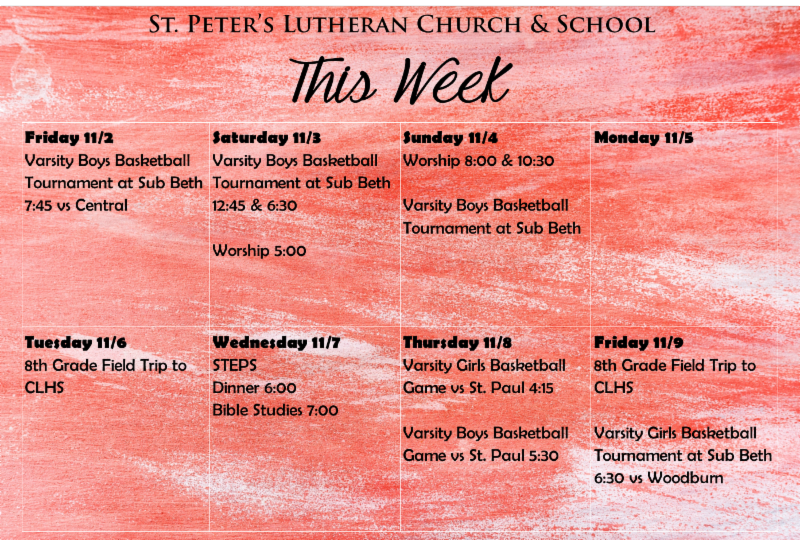 The day starts with Chapel at 8:30 A.M. followed by lots of cool activities in the classrooms. Since this is only a half-day program, you gotta be out of the building by 11:30. Mark your calendars! 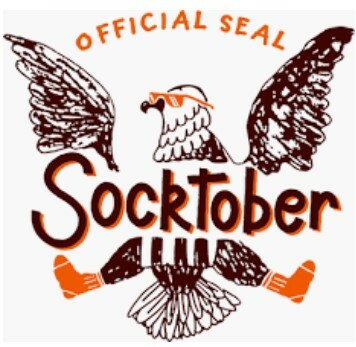 Socktober this year is finally over, and we did a great job! Our goal was to collect 7,834 H.U.G.S. and we BLEW THAT AWAY by collecting 13,900 H.U.G.S. and that doesn't even include the church's donations! I am now proud to announce that our top three classes alone collected 7,522 H.U.G.S.. In 3rd place with 2,376 H.U.G.S. in 6th grade. In 2nd place with 2,489 H.U.G.S. is 3rd grade. In 1st place with 2,657 H.U.G.S. is 2nd grade. Thank you so much for bringing in H.U.G.S. Double Dare details will be announced soon! Twice a week our fifth through eighth graders end their day enjoying their Elective Classes. We thought we’d share their progress with a few pictures. Kids have been sharing favorite books, creating reading lists, exploring genres, enjoying many picture books, and taking on a variety of reading challenges. 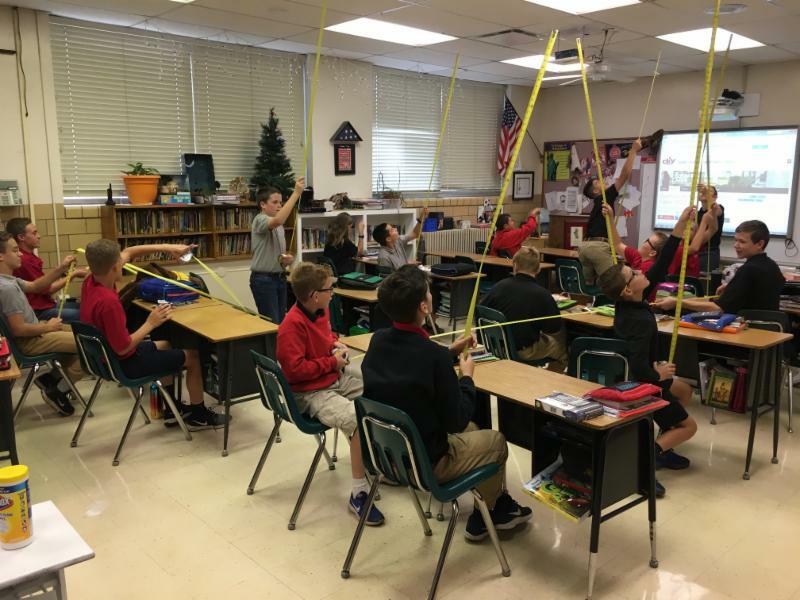 Students have been using scale rulers, roof pitch finders, layout rulers, and construction calculators to draft homes and structures. They also hope to have their drafted homes printed with a 3D printer. 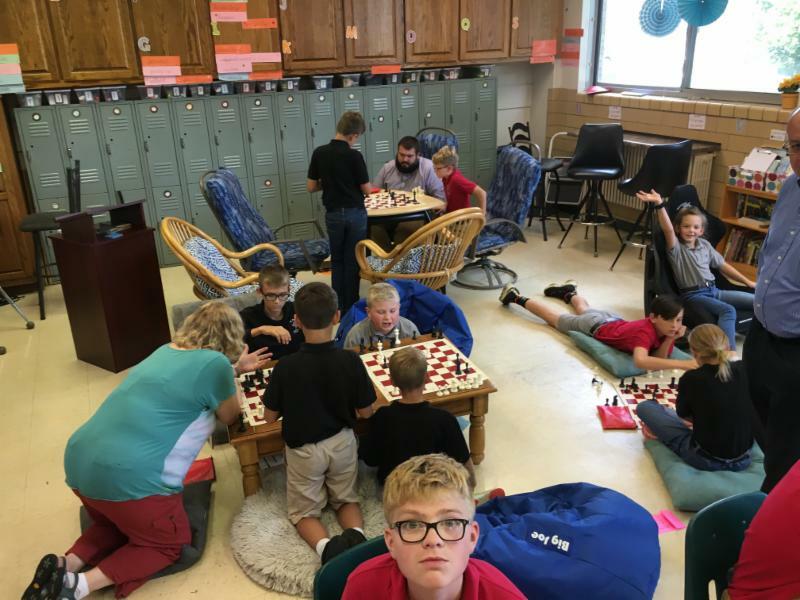 Students have been learning the game of chess getting into some strategy for openings, middle game, and end game. A great class for starters, middle beginners and strategists. 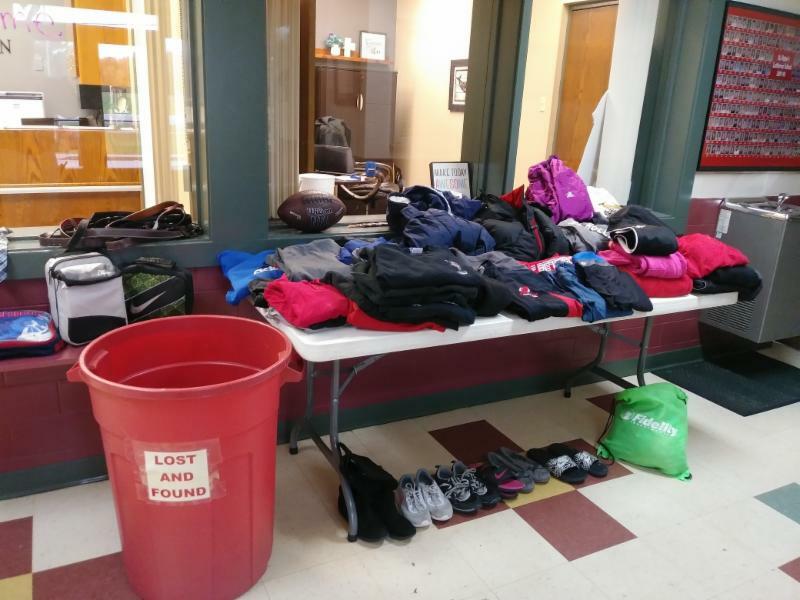 It’s hard to believe our Lost & Found can accumulate so much stuff in one quarter. If you’re missing some kids’ stuff, check out the table in the main hall. 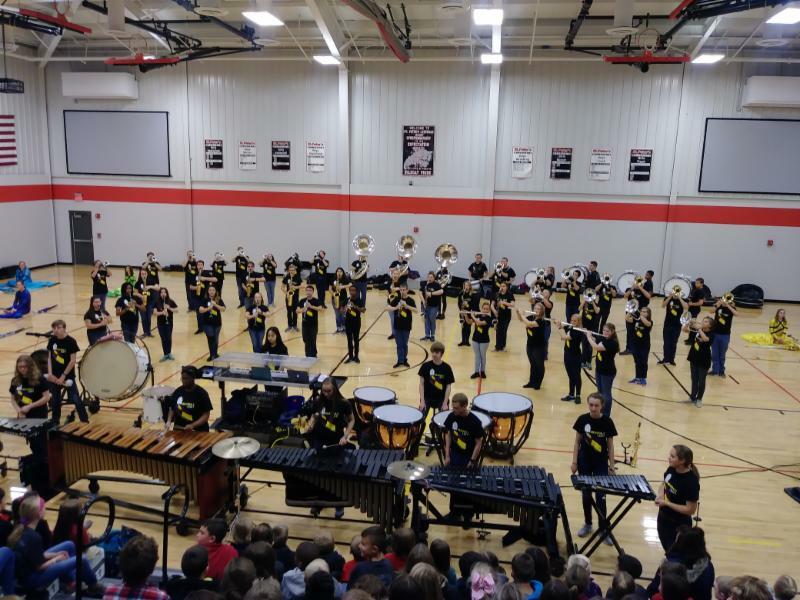 Our student body was treated to a beautiful concert by the Concordia Lutheran High School Band this morning. Thanks, kids, for a great performance, and God’s richest blessings on your trip to State tomorrow! When signing the Ritual of Friendship pad, use one line for each family member and write legibly. That will ensure that your attendance is properly recorded. Pastor Steve Ahlersmeyer is preaching this weekend. His sermon is titled " Faithfully Forward in Ministry". Please take some time to prepare for worship by reading the Bible passages before attending church. Please join us for worship on Saturday evening at 5:00 or Sunday morning at 8:00 or 10:30. Please include these requests in your personal and family prayers. Thank you to the 8th grade class & their families for providing a delicious lunch for our teachers! A special thank you to the parents who supervised lunch & recess duties while the teachers enjoyed their quiet lunch! November & December will be for Program 25. Here at St. Peter's we use Program 25 donations in a variety of ways to assist those who may have an emergency need. In the past we have used funds to assist with purchasing clothing and food, helping with utility and medical bills, as well as many other special need circumstances that may arise. Clubhouse is available at 8:00 am on delay days. Watch for NEW Parent Alert texts now, too! Did you receive your first alert last Thursday night? If you didn't, contact the school office to verify your cell phone number on file.